Find where you want to start the stitch in the lower left corner, then begin the stitch one thread to the right. 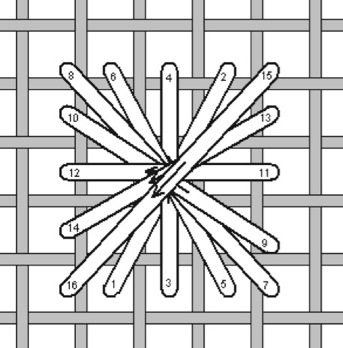 This allows the final stitch to be the diagonal stitch from the upper right corner to the lower left corner. Follow the stitches in numerical order!